The HubSpot platform is a great option for your medical website. This platform is extremely user-friendly, and we can guarantee it will help make your job as a marketer that much easier. But, before you decide whether or not the HubSpot platform could work for you, let us do two things. First, we’ll give you the essential information about what HubSpot is and what makes it unique, as well as provide you with a series of questions you should ask yourself before making the switch. So what is HubSpot, and what sets it apart from other platforms? Hubspot is an inbound marketing and sales software that helps companies attract visitors, convert leads and close customers. This integrated marketing platform is truly an all-in-one, and integrates the inbound methodology, which is to: Attract, Convert, Close and Delight. Hubspot has a fully functioning CMS, which makes it easy to create content and templates with a responsive design. This also means there would be no need to go to your IT department or developer for simple changes. Question #1: What is your Budget? All good things require a solid investment. We know your marketing team is working with a set budget, so you must ask yourself if you have the dollars to spend on a new platform. We think using a HubSpot platform is worth the investment, but to determine if you have the budget available here are your pricing options. Question #2: What are your Medical Organization’s Business Objectives? Understanding your medical organization’s goals for 2017 and beyond, will help you prioritize your marketing objectives. Has your organization set benchmarks for growth, such as an increase in patient appointments, or amount of care services provided? Have they increased your marketing budget to help with their objectives? Are you being asked to focus on social media, or create more unique content? 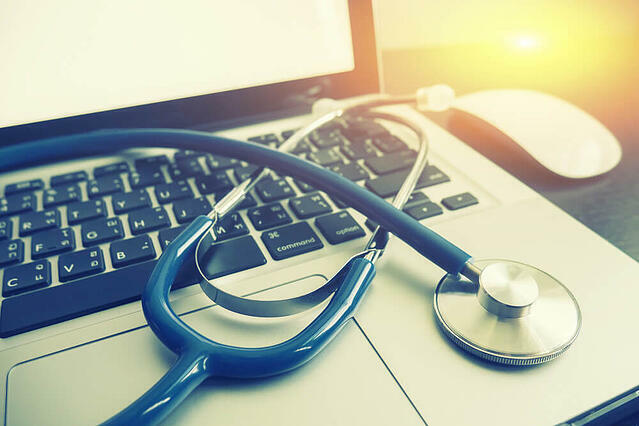 It’s important to make sure you have a clear understanding of where your medical organization is headed, and how your medical website can play a role within that strategy. Question #3: Are you Ready to have your Tools all on One Platform? Having a one stop shop when it comes to your marketing tools is great, but by switching platforms (and to HubSpot specifically), it will change how you currently go about your job. And, there’s always a learning curve. Is your marketing team up for the challenge? Are they on board with the HubSpot platform? Do you have support higher up? The HubSpot software is built for marketing automation, and we find this post to be extremely helpful when considering if your medical organization is truly ready to make the leap. Question #4: Do you Want your CRM and Website to be Seamlessly Integrated? A CRM (Customer Relationship Management software), allows companies to manage all aspects of their business, including: marketing, automation, business information and customer data all in one spot. For your medical organization, not only could you benefit from having these business tools all in one platform, but you could also store some of the information that relates to your patient database and records. If you already have a CRM in place, you can definitely benefit from the HubSpot platform. However, if you’re currently using a template with a built-in CRM, they tend not to integrate well with external software. To talk more about the HubSpot platform, how to ensure you’re HIPAA compliant, and how it works with electronic medical records (EHR), and electronic health records (EHR). Question #5: Is User-Friendliness Important? Can patients access an online calendar to book appointments? Or can patients chat with an online representative to get their questions answered? Do you currently have a responsive medical website? There are a lot of different functionality and design elements at play that determine whether or not your website is user-friendly. HubSpot can help you achieve all of these objectives, but it’s important to evaluate what the primary goals of your medical website are. Making the decision to switch website platforms is a big one, which is why it requires a lot of careful thought, discussion and planning. Did you also know that WordPress has a HubSpot plugin? If you currently use WordPress, and that sounds like a more feasible option for you, read more here. Final thought; if you still have questions or want to discuss your best options, we’d love to talk it through with you. Contact us for a free evaluation today!